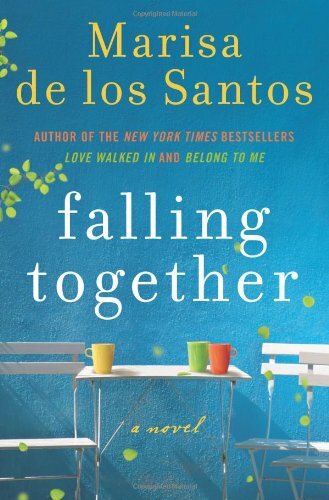 I loved the first two novels Marisa de los Santos wrote, Love Walked In and Belong to Me. I was not disappointed in her third. This is the kind of book that I love from the beginning and thought all day about when I could read it again. This is the story of Pen (Penelope) who is raising her 5 year old daughter, living with her brother Jamie and still grieving from her father's death. In college she had two best friends, Cat and Will, with whom she was inseparable. At some point after graduating, the three split up. It's been 6 years, and the details of the events leading up to that moment are sprinkled through out the story. Pen and Will receive a cryptic e-mail from Cat, which leads to them meeting up, and ultimately working through the details of their years spent apart. 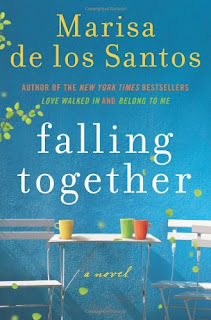 Just as in her other novels, de los Santos captures the emotional connection between friends and family. The longing that Pen feels for the people she has lost felt real and relatable. I loved the poignant reflections about losing her father. At the start Pen reflects, "Since you left there's been a you-shaped space beside me, all the time. It never goes away." I also love this perspective on harboring hate. "She could imagine sustaining certain emotions at that pitch for that long--love absolutely, grief probably, guilt maybe--but hatred was exhausting and gave so little back. Once, after her father died, Pen had tried to keep hatred alive, but it kept losing its firm shape, kept smudging and blurring until it became an immense black, impossible heavy sadness that lived inside her body and made it hard to move, so she had given it up." There are so many great realizations and conversations I enjoyed reading and thinking about in this book. There's a moment when Pen realized a guy may not be as big a jerk as he seemed at first, and it is written so well. "It was simply this: for the first time, she understood that it was possible to form an opinion about a person, an opinion based on solid evidence and a vast quantity of justified self-righteous anger, to even have this opinion reinforced by trusted colleagues, and to be, at least partially, wrong." The book takes Pen and Will on a journey, literally and figuratively, to find Cat. I think the story is interesting and well developed. But really it's the writing more than the story that I fall in love with when I read Marisa de los Santos. 'Everything gleamed,' Pen said. 'Like sometimes happens after it rains.'" Just like her first two books, I felt like the prevailing theme is how love, in all its forms, is what is most important. Language: There are a lot of obscenities. One character in particular has a temper and not a lot of verbal self-control.